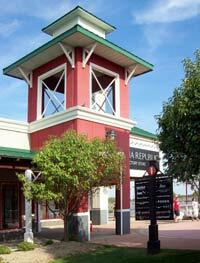 Ohio is for shopping— outlet shopping that is. 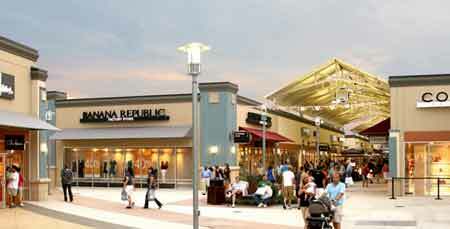 Ohio has 4 outlet shopping malls that run from Cincinnati to Cleveland. Additional savings can sometimes be found on the outlet mall's web site, sometimes at the info center at the mall, or the management office. Some outlets malls will sell coupon books for $5.00 or so. If you're planning on doing some serious shopping that day, these books may be work the price. Some outlets also offer senior citizen discount days. Check with the mall to see if you qualify. Weekends definitely are the busy days and during the holidays, parking may be a problem. Shopping weekdays there is usually less traffic. Also during the morning hours. Black Friday, and Black Friday eve, expect massive crowds. This is the newest outlet mall in Ohio and is a combination of a regular mall with outlet stores mingled in with regular retail stores. Best bet is the Off 5th Saks Fifth Avenue Outlet and the Sports Collect-a-Mania. 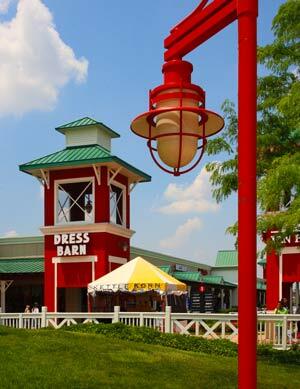 Cincinnati Mills is located at Exit # 39 off I-275. Tanger's is the largest Ohio outlet mall and located south of Columbus off I-71. Easily accessible from Columbus, Cincinnati and Dayton areas, or just about anywhere in the state, as well as neighboring states, countries, and galaxies. 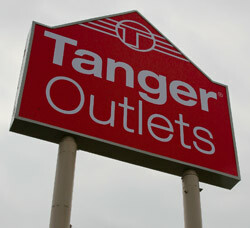 Tanger Outlet offers a variety of quality stores in a traditional outlet mall style. It's a fun place to spend an afternoon. Black Friday shopping starts at Midnight, but come even earlier to stand a chance at getting in. 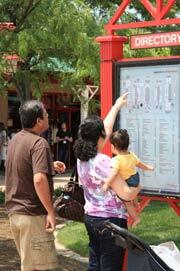 The outlet mall site opened in 1993 and has gone through several ownership changes over the years. Today there are around 100 stores. Check out Pottery Barn. White House Black Market, Coach, Fossil, and Nautica for the best deals. 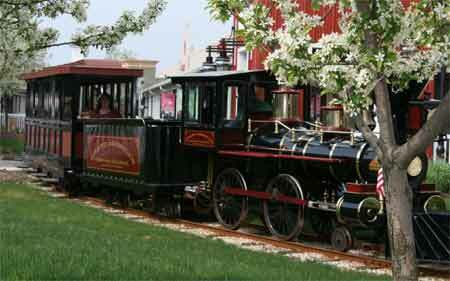 Voted the “Best of Ohio Outlet Shopping Center 2009” is a 311,478 square-foot turn-of-the-century outlet featuring vintage trains! The center boasts a lineup of nationally-known retail brands, including Aeropostale, Polo Ralph Lauren Factory Store, Gap Outlet, The Children’s Place, Bath & Body Outlet, Nautica Factory Store and Tommy Hilfiger, among many others. 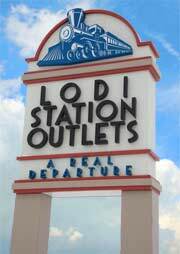 Lodi Station Outlets opened in 1994 with some 55-60 stores. Located off i-71, north in Medina County. Lodi has been called the working woman's outlet mall. Has good deals on clothing items. The new owners worked closely with historical societies and railway museums around the area to create an authentic experience as possible making it the first shopping experience of its kind in the United States. Aurora Farms Premium Outlets® is located just 30 minutes from Cleveland and Akron and is easily accessible from the Ohio Turnpike at Exit 187 in Aurora, Ohio. Save 25% to 65% everyday at this exciting collection from the world’s finest designer and name-brand outlet stores including Brooks Brothers Factory Store, Coach, Gap Outlet, Michael Kors, Nike Factory Store, Polo Ralph Lauren Factory Store, Saks Fifth Avenue Off 5th and Tommy Hilfiger. For even more savings join the VIP Shopper Club by logging on to www.premiumoutlets.com/vip. Cincinnati Premium Outlets® is Ohio's newest outlet shopping destination and is conveniently located between Cincinnati and Dayton on I-75, Exit 29 in Monroe, Ohio. Save 25% to 65% every day at stores including Banana Republic Factory Store, Coach, Gap Outlet, J.Crew, Michael Kors, Nike Factory Store, Polo Ralph Lauren Factory Store and Saks Fifth Avenue Off 5th. 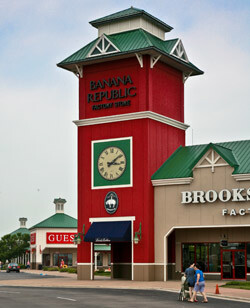 Book a group tour today by visiting www.premiumoutlets.com/tours. Shoppers who join the FREE VIP Shopper Club enjoy even greater savings at select stores; visit www.premiumoutlets.com/vip. Toledo Ohio has been called the "Glass Capital of the World. The Libbey Glass Factory Outlet has a wonderful array of casual glassware, glass serving pieces, and glass novelties -- 16,000 square feet of it. The Libbey Glass Outlet Store is open Monday through Friday from 9:30 am to 5:30 pm, Saturday from 8am to 5pm, and on Sunday from 10am to 5pm. Outlet stores are cheaper, right? Not all stores you find at an outlet mall are outlet stores. By definition, outlet stores will be carrying the same merchandise you would expect to find in their regular retail stores, but at a discounted price. The reason for the discount could be overstocked items or items that have gone out of season. 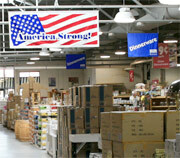 Some outlet stores carry merchandise made specifically for the outlet store. These items are usually only available at the outlet store. That means these products are not quite the same as the regular store merchandise, but they should be of the same quality. You have to do a little looking to find the good stuff. Then you'll have stores that are just retail stores with an outlet tag on them. Pricing is not always better at the outlet stores on some items. That's why it's important that you have a good idea of what you're looking for before making the trip. Just because something has a tag on it saying marked down from retail, doesn't mean that it's marked down from the actual selling price in the regular retail store. Don't expect to find quality dining at most outlet malls. It just ain' t going to happen. You'll probably find a food court of some kind with acceptable food in most locations. Some a little above and others a little below average. Take advantage of sales, and coupons. Check out their web site and get on their mailing list for additional savings opportunities. Factory seconds and irregulars means their may be a minor problem with the merchandise, but usually not serious. However, check merchandise carefully. Check the refund policy before purchasing. Pets are welcome in some stores, but not all stores. Those allowing pets will usually have a pet-friendly sign near the front entrance.